Luxury Country House with business potential in Piemonte Valfernera Near Asti (ref: 6811)- Charming restored country home set within 1.6 hectares of land enjoying countryside views. 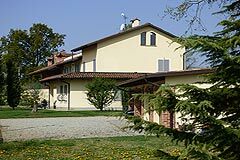 Perfect as a luxury family home or a small boutique B & B business.. Piedmont Properties in Piemonte. Property for sale Langhe and Piemonte. Map for Property ref: 6811, Luxury Country House with business potential in Piemonte - Charming restored country home set within 1.6 hectares of land enjoying countryside views. Perfect as a luxury family home or a small boutique B & B business.